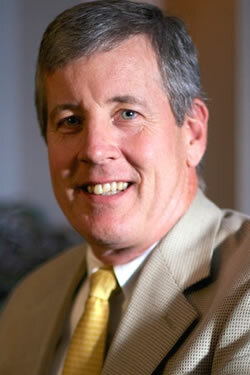 Originally from Cincinnati, Dr. Robbins came to Atlanta in 1976 to attend Georgia Tech where he graduated with highest honors in Chemical Engineering, was a 4 year starter on the baseball team, was a member of ANAK, and was the 1980 graduate of the year. He moved across town to attend Emory University School of Medicine, then stayed at Emory to complete his residency, finishing as chief resident in 1988. He has been a member of Roswell ObGyn since July 1988 and is been certified by the American Board of ObGyn since 1990 and is a Fellow of the American College of ObGyn. In Obstetrics, Dr. Robbins is no longer in the Ob call schedule but works in the office to help his group manage both high and low risk Obstetrical patients. Dr. Robbins previously had been active in medical staff leadership over the years, serving as Chairman of the NSH Department of ObGyn, Chairman of the NSH Pharmacy & Therapeutics Committee, member of NSH Medical Executive Committee, and most recently heading up the NSH JCAHO Obstetrics Disease Specific High Risk Certification group. He is now inactive in hospital leadership committee, focusing instead on Roswell ObGyn office logistics and EMR issues. He will continue to practice office ObGyn and perform Gyn surgery, plus do some scheduled C/S deliveries. Dr. Robbins is married to his college sweetheart and they have 3 adult children.